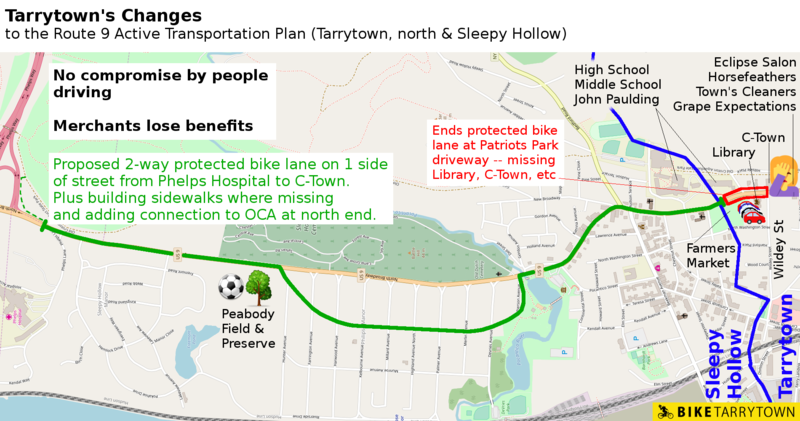 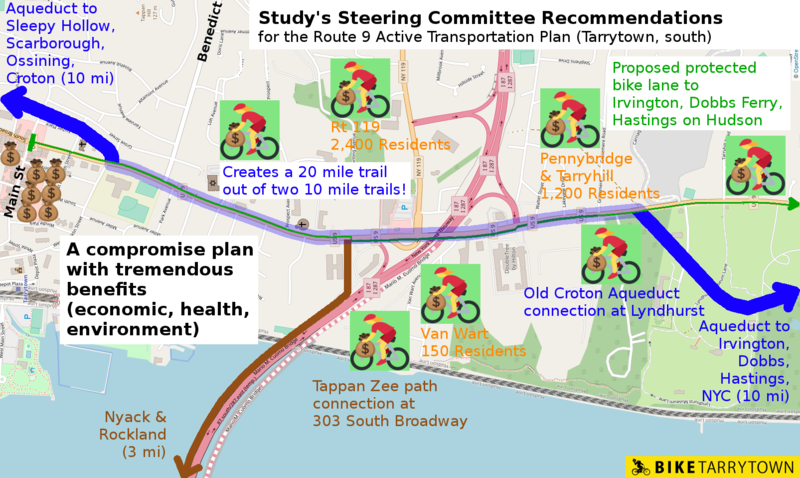 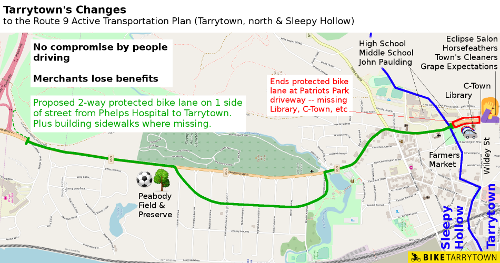 Tarrytown's government truncated the plan, discouraging people from riding to the Library, C-Town and nearby shops. 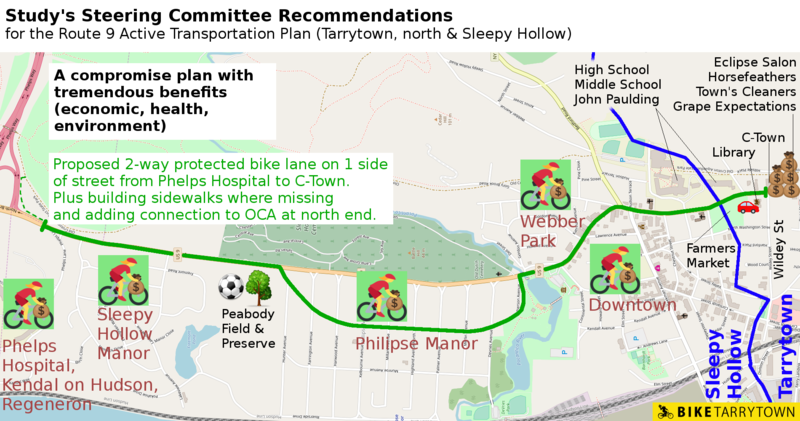 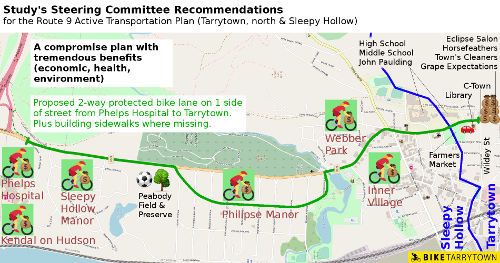 The Route 9 study's Steering Committee made excellent recommendations for a compromise plan that would allow people to cycle safely to Washington Irving School, Warner Library and shops. 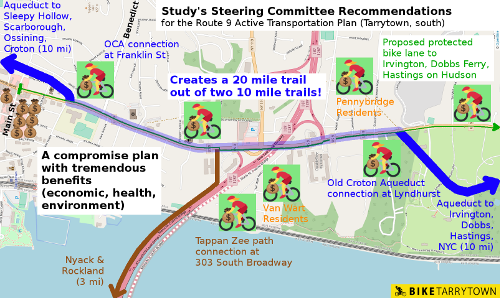 Plus it would stitch together the Old Croton Aqueduct. 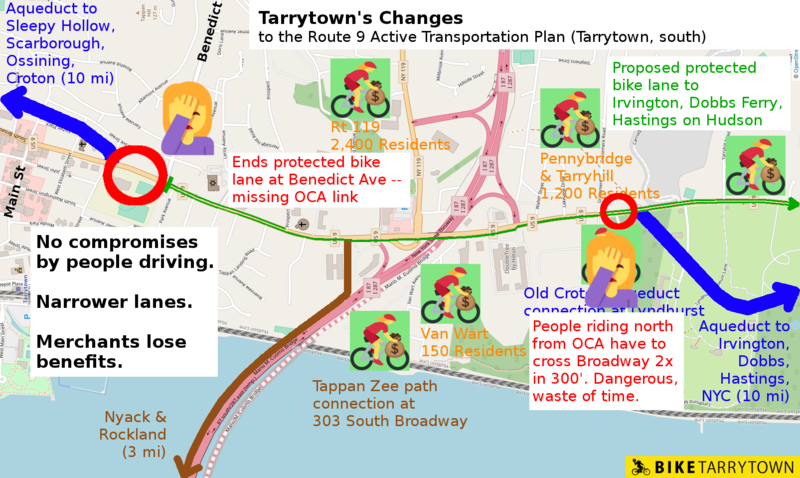 All without touching parking in Tarrytown's downtown core. 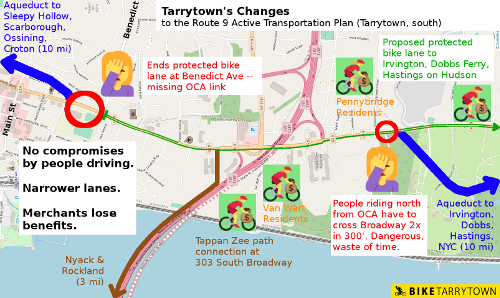 A letter laying out why so many people feel forced to drive, plus some steps to start rectifying this.